Prix Fixe Menu | Click on any image to view larger. 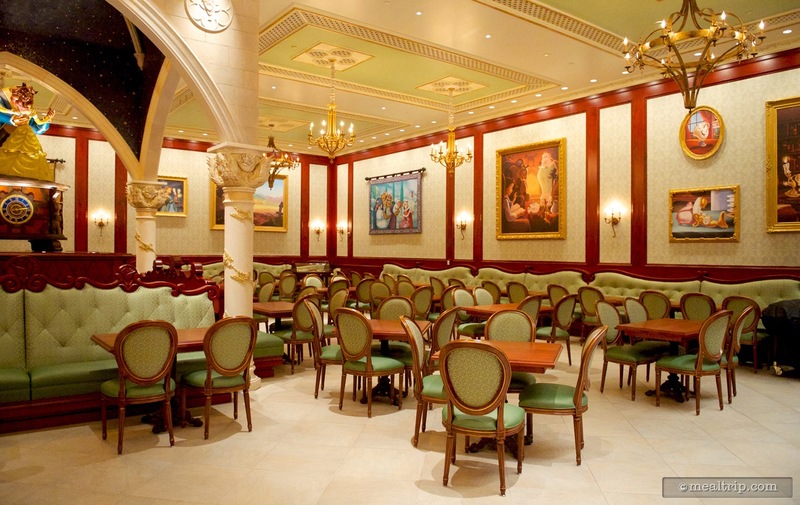 The Be Our Guest Restaurant Breakfast listing is a Prix Fixe Menu dining location at Magic Kingdom featuring French and American cuisine. There are 13 photos in the Mealtrip photo gallery for this location and dining period. 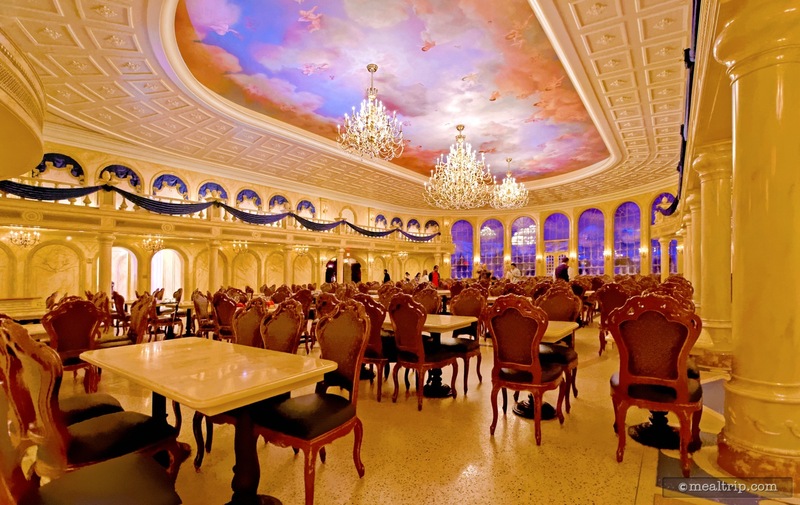 The Be Our Guest Restaurant Breakfast listing currently has a score of 78 out of 100. 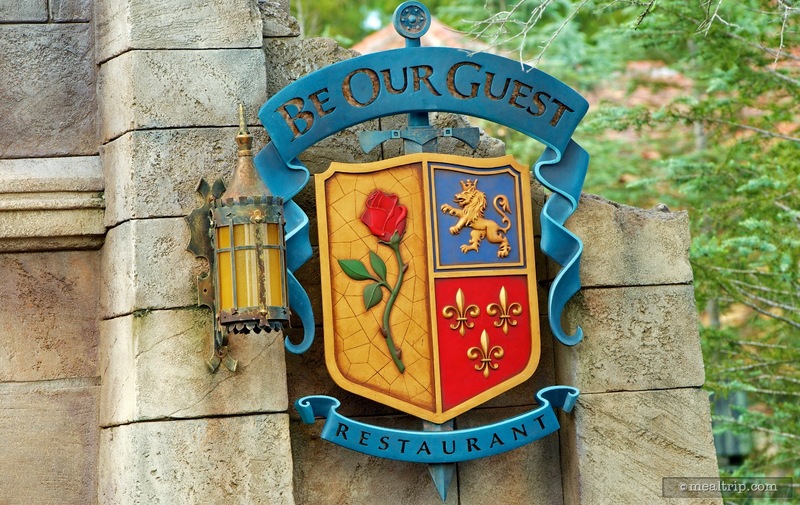 Click here to read all of the reviews for this location, or log in to Mealtrip.com to add your own review for Be Our Guest Restaurant Breakfast. 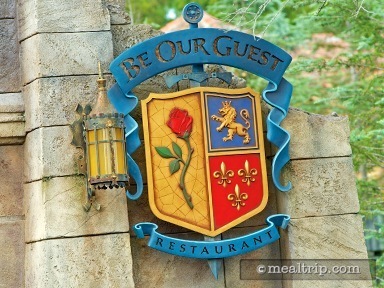 The Be Our Guest Crest at the entrance to the restaurant. 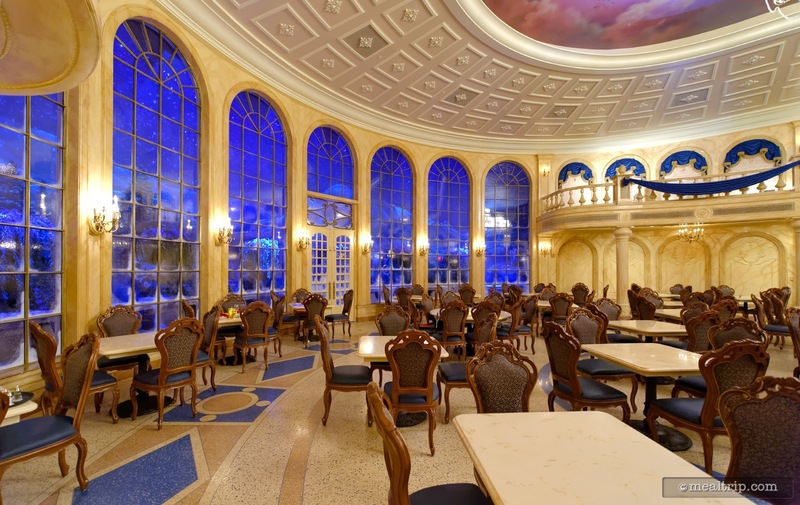 There is a large window wall at the back of the Be Our Guest restaurant's main hall. The East Wing at Be Our Guest. 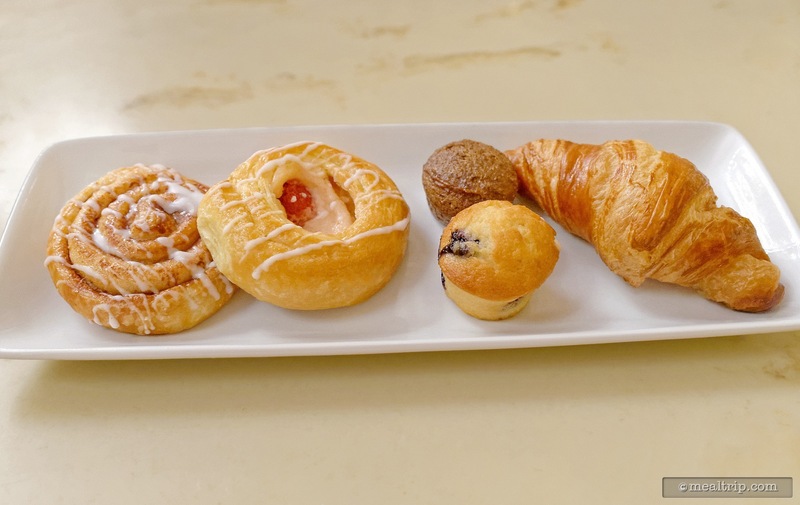 This assorted Pastries tray is to be shared between one to four guests. If there are five to eight guests in your party, you'll get two of these plates. 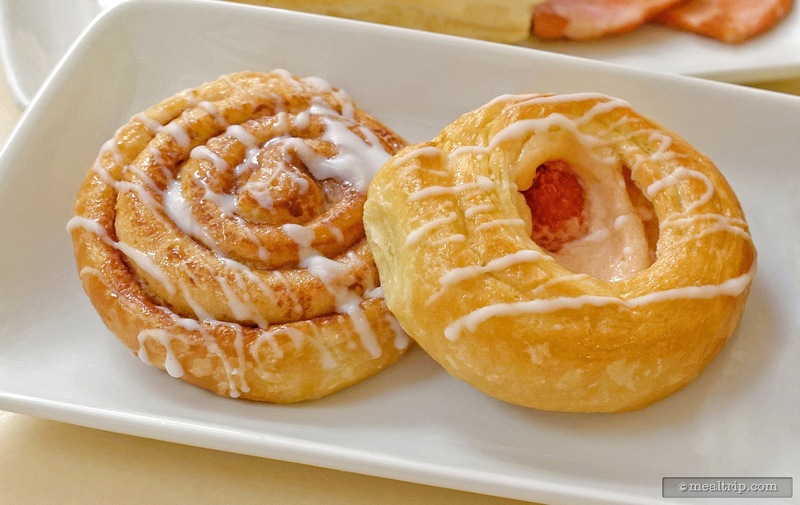 A cinnamon and berry danish from the assorted pastries tray. 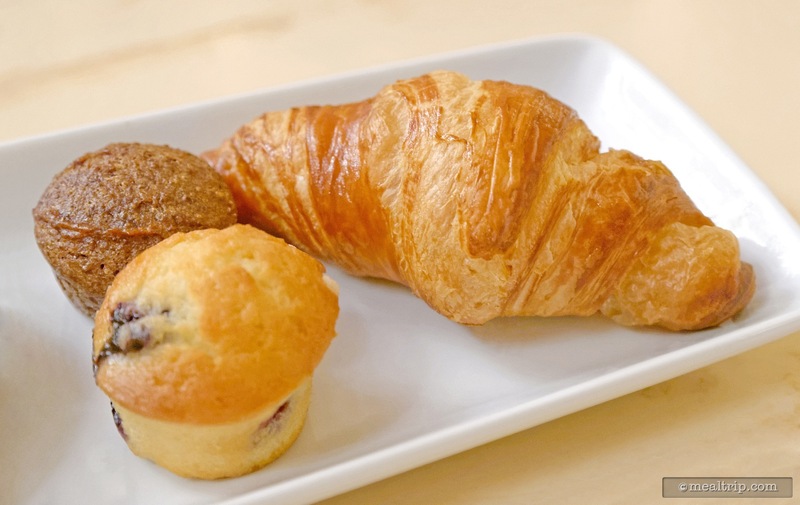 The other side of the pastries tray featured a croissant and two mini-muffins. 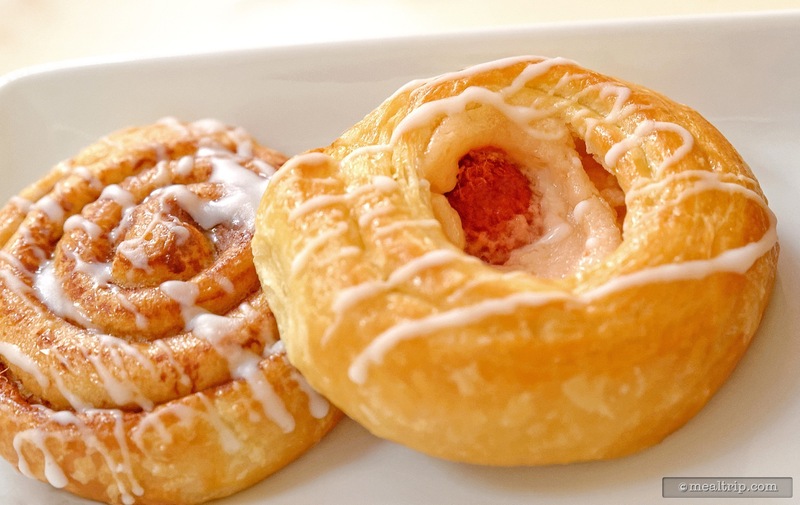 A closer look at the berry (or fruit, which may vary from time to time by table or by day), danish. For us, it was the star of the pastry tray. 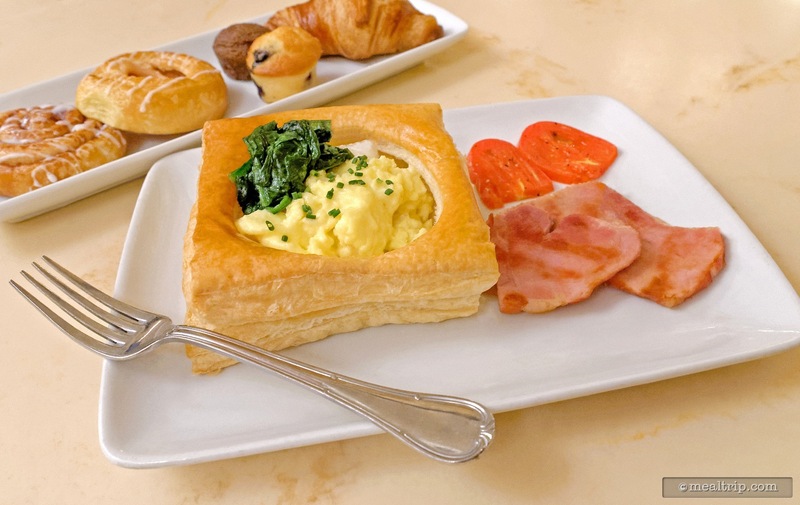 The Eggs Florentine on the Be Our Guest Breakfast menu features a puff pastry shell filled with scrambled eggs, cheese, and fresh spinach, and is served with country ham and roasted plum tomatoes. 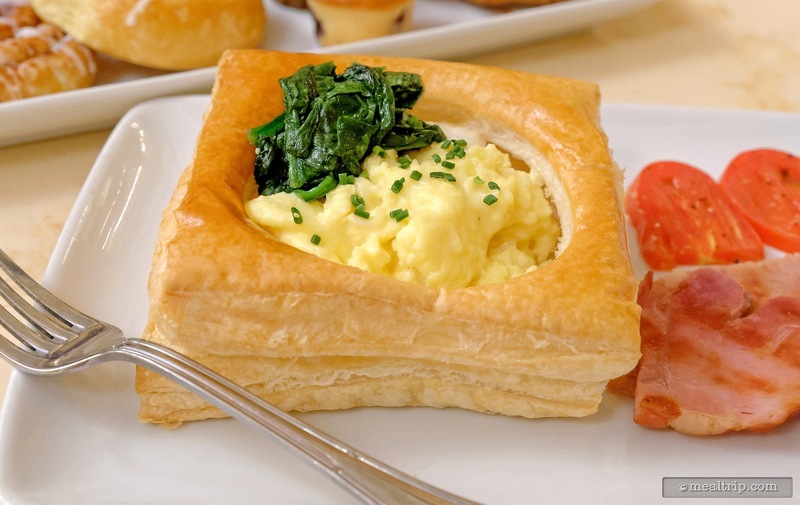 A closer look at the Eggs Florentine from Be Our Guest's breakfast menu. The greeting hall once you enter the restaurant for breakfast. 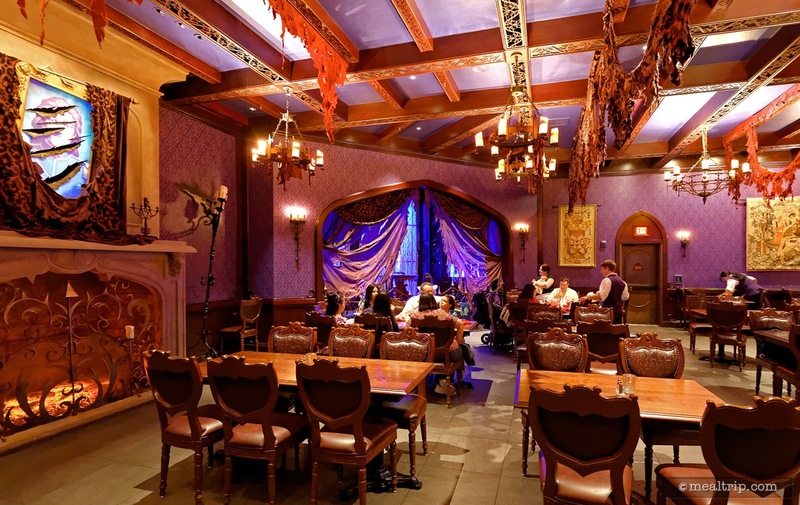 The main dining area at Be Our Guest. 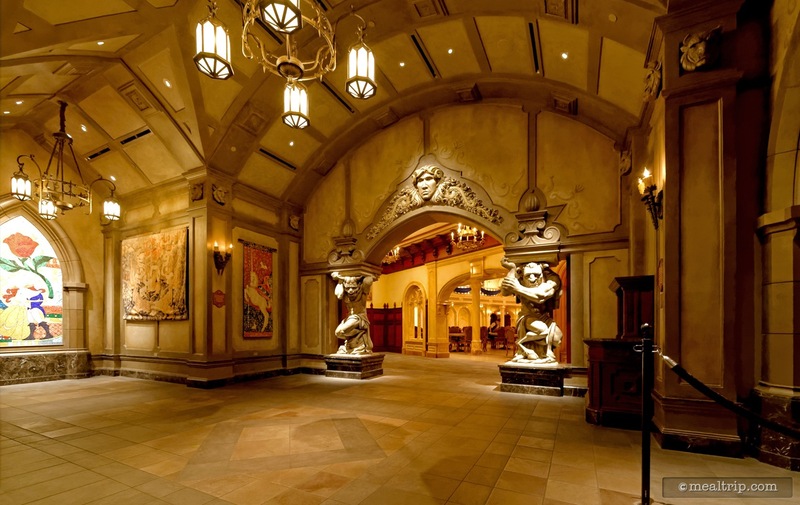 The darker West Wing at Be Our Guest. 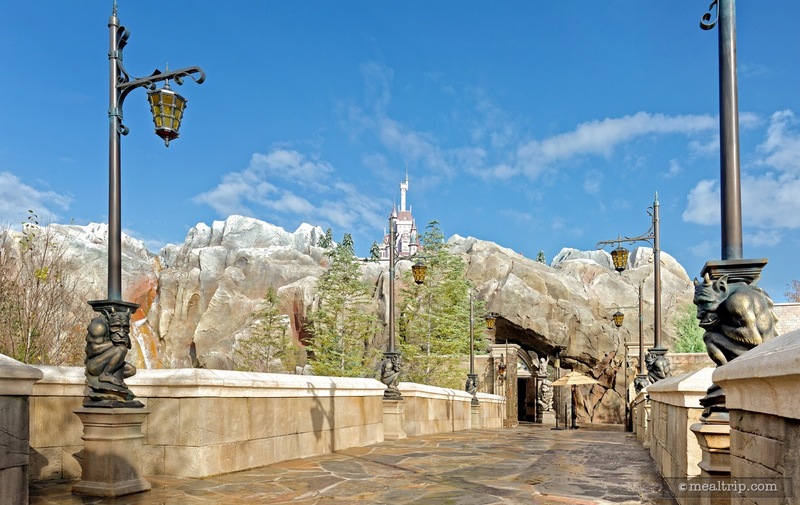 Early morning at Be Our Guest.